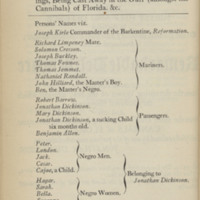 Jonathan Dickinson was a Quaker merchant from Jamaica who, during a trip to Philadelphia in 1696, was shipwrecked off the coast of Florida. 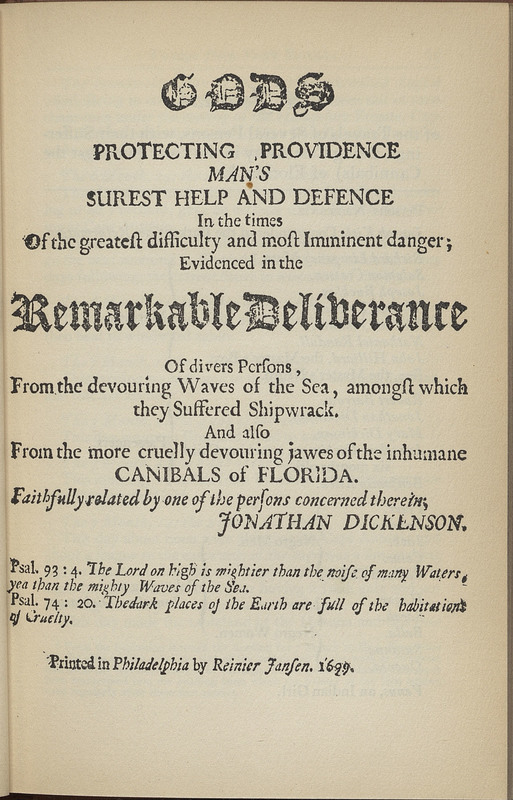 Much like in Robinson Crusoe, the survivors of Dickinson’s shipwreck encountered a variety of native people, some of whom took them captive and who they feared were cannibals. 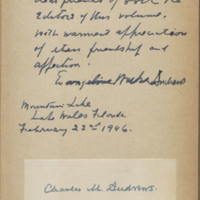 Dickinson’s journal paints a complex ethnographic picture with Spanish missionaries working to convert the Native American tribes who lived along the Florida coast. This work is representative of the “captivity narrative” genre, with which Daniel Defoe was well acquainted. 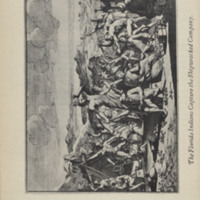 After the shipwreck, Dickinson’s party traveled 230 miles from Jupiter Island to St. Augustine, where the Spanish authorities sent them by canoe to Charleston, South Carolina. Dickinson would eventually serve as Mayor of Philadelphia. Jonathan Dickinson's Journal: or, God's Protecting Providence. 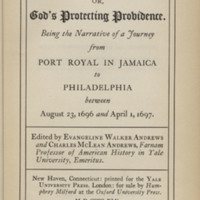 Being the Narrative of a Journey from Port Royal in Jamaica to Philadelphia Between August 23, 1696 and April 1, 1697. New Haven, Conn.: Yale University Press, 1945.